NEBRASKA F&R 006 vinyl at Juno Records. 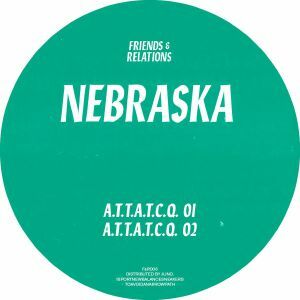 Nebraska's Friends & Relations series is yielding some of the strongest material the steadfast producer has served up in recent years, drawing as it does on a deep well of personal inspiration from his formative musical loves. This time around, you'll have to decipher the track titles "A.T.T.A.T.C.Q 01-05" to work out which seminal hip hop crew are under the spotlight, but the results are magical. 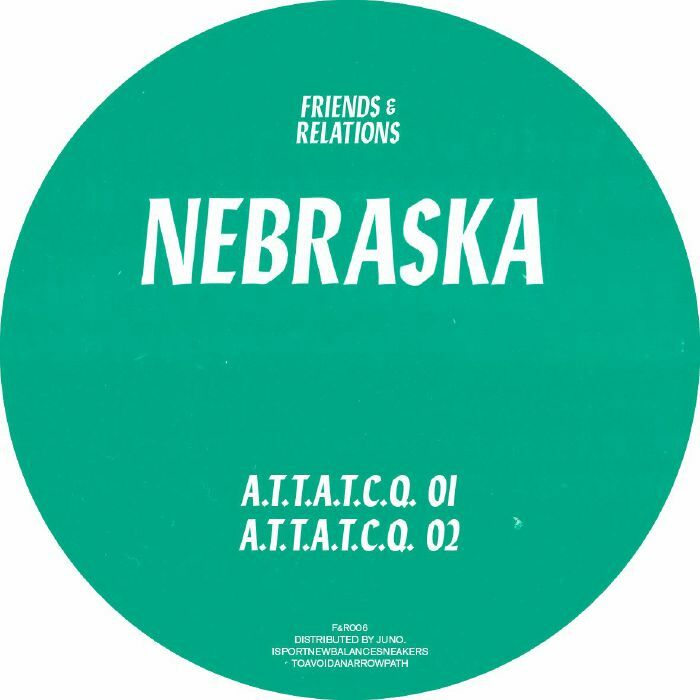 Refiguring jazzed up breaks and licks into low slung house structures, Nebraska is clearly having a whale of a time. The vibes are heavy, heady, smoked out and utterly infectious from the start to the finish.